Story: About two weeks ago I blew my engine and I am trying to purchase a new one. Questions: 1) Is it okay to buy a 2014 1.4L engine for my 2013? 2) Does Transmission type matter? Like I have a M/T does it matter if the engine comes out of a A/T? 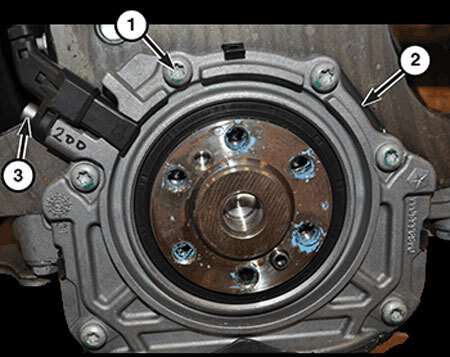 I did some searching and what seems to be the difference between the 2013 1.4L and 2014+ 1.4L is the location of the crank sensor. I didn't find any pics of the 2013 but I did find the later 1.4L crank sensor. 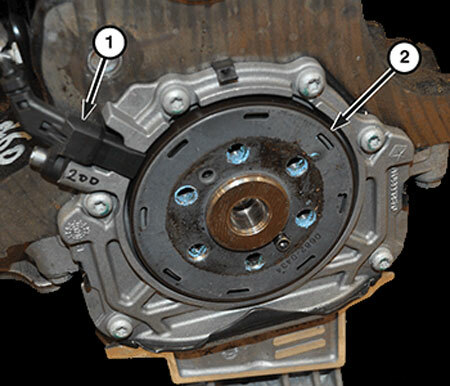 Since you already have the 2013 version, it should be possible to swap the tone wheel and rear main seal retainer from your engine to a later engine. I am not positive about this and am only suggesting that you look into this further. So I've managed to get a mechanic to swap my engine. Now I have one dilemma. My dart is a M/T. When I shift to first gear that gear is actually acting as my reverse. So if you know about the M/T layout there is like a wall behind the REVERSE Gear so when I try to sift in to second gear I cannot do that because my gears are off. How can I fix this? Was the trans removed at the same time with the engine? If so, possibly something was put together incorrectly with the shifter cables. 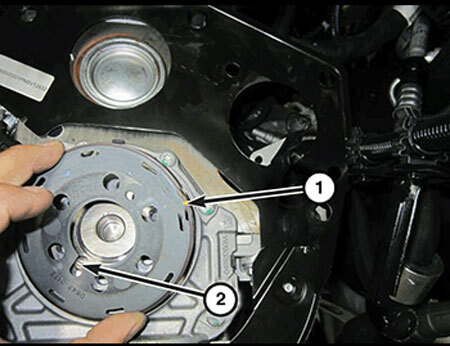 There is an engine mount neutralization procedure that needs to be done. If the powertrain is not in a neutral position, shift points can be off. Basically, loosen all the mount bolts, rotate the powertrain to where it shifts correctly and tighten all the mount bolts. Last edited by alpinegreenneon; Today at 07:42 AM. Engine Swap 1.4l with 2.4l?